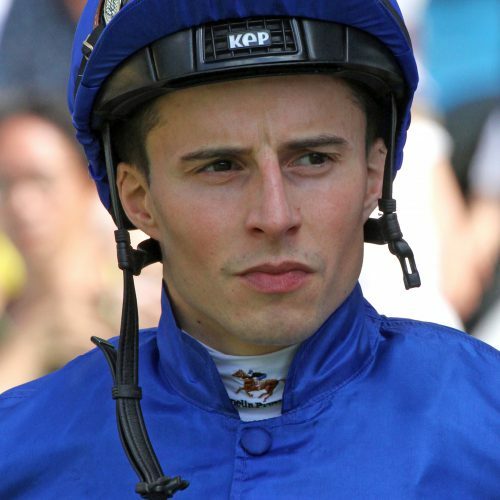 William Buick is not your average Derby-winning jockey as he is fluent in Norwegian, Danish and German as well as English. He was announced as a Godolphin retained jockey on November 9, 2014 and is first jockey for Godolphin trainer Charlie Appleby. That alliance led to him partnering Masar to Investec Derby glory in 2018, giving Sheikh Mohammed’s Godolphin operation its first winner of the premier Classic in blue colours. Born on July 22, 1988, in Norway, he Hails from a family with lots of equestrian background. His mother Maria became a showjumper and dressage rider, while his father Walter enjoyed a long career as a jockey, being champion jockey eight times in Denmark and once in Norway. Buick rode out for his father in Germany and for Norwegian champion trainer Wido Neuroth. He would get up in the middle of winter and ride work in sub-zero temperatures before heading to school for his studies. During the holidays, he would travel over to Britain to ride work for Reg Hollinshead, Marcus Tregoning and Andrew Balding. He returned to Balding’s yard at Kingclere, Berkshire, to become an apprentice jockey after leaving school at the age of 16. His first ride came in August, 2006, and his first victory came on Bank On Benny at Salisbury on September 27. Following a working holiday in Florida, USA, he returned to Britain at the start of 2007 and soon earned a reputation as one of the country’s most exciting apprentices. The jockey gained a first Royal Ascot success on Dark Missile in the Wokingham Handicap, one of the most competitive races in the calendar, in June, 2007, and the first Group victory came on Buccellati in the St Simon Stakes at Newbury in October, 2008. Buick ende 2008 as joint-champion apprentice and was appointed stable jockey to John Gosden in January, 2010, despite never having ridden for the Newmarket handler before. Up until 2018, he had ridden 20 Royal Ascot winners plus two St Leger winners – 2010 Arctic Cosmos and 2011 Masked Marvel.